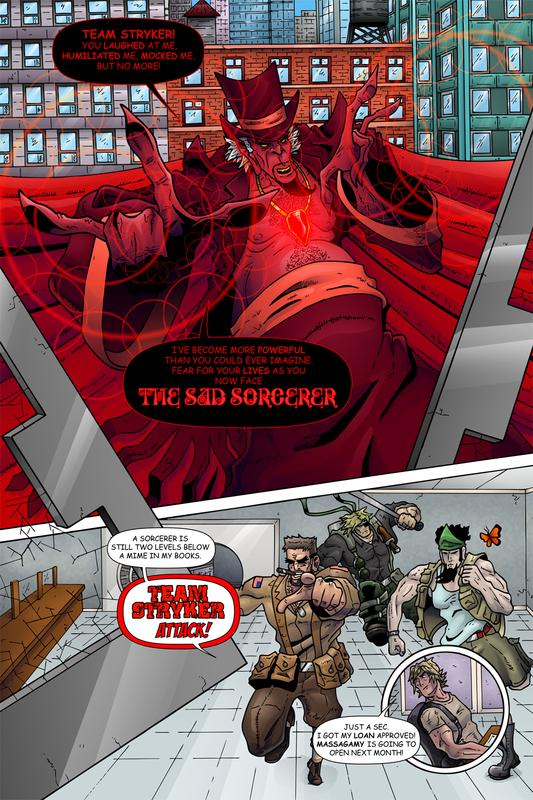 Things are just getting started in Mission 008 as The Sad Magician becomes the Sad Sorcerer! I was really looking forward to doing my take on the classic amulet-gives-character-powers story and The Sand Magician was the perfect character for it. If anyone needed an ego boost it was him. I haven’t 100% worked out my Christmas posting schedule but I’ll be sure to let everyone know on Facebook and Twitter when Team Stryker will be updating. Have a great start to your holiday season and I’ll see you all back here soon!